Edmonton DUI or Impaired Driving Charges? Better Call a Lawyer! If you find yourself with a DUI (“driving under the influence”), a DWI (“driving while impaired” or “driving while intoxicated”) or other drinking and driving charge, you need to talk to a lawyer. Your best defence is to get a lawyer. 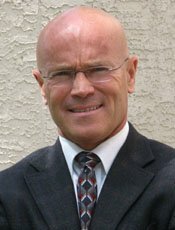 Geoff Green is a lawyer who can help you fight the charges, keep your license and minimize your mistake. If you get caught, call Geoff. Federal and Provincial legislation both come into play in the drinking and driving offenses. This is because the federal government has jurisdiction over criminal law, but the provinces are given jurisdiction over property and civil rights, which includes drivers licenses and the requirements to be a licensed driver. As a result, some penalties for the drunk driving offenses are contained in the Criminal Code, while other sanctions or regulatory rules are contained in provincial legislation. The overlap in the drinking and driving rules makes things somewhat complicated, and the rules seem to be constantly changing so consulting with a lawyer is a definite must if someone runs afoul of the drinking and driving laws. Geoff Green has over 20 years experience and can help you try to hang onto your drivers license. In Alberta, the consequences for driving with alcohol in your body, or for driving while impaired, begin immediately. Over the course of 2012 the government of Alberta passed new legislation that was phased in over time and resulted in these immediate consequences. Immediate license suspension which is sustained until criminal charge is resolved. 1st charge: sustained license suspension and 3-day vehicle seizure, “Planning Ahead” course. 2nd charge: sustained license suspension, 7- day vehicle seizure, “Impact” course. 3rd charge: sustained license suspension, 7-day vehicle seizure, “Impact” course. Mandatory ignition interlock after criminal conviction – 1 year for 1st conviction; 3 years for 2nd conviction; 5 years for 3rd conviction. 1st offense – Immediate 3-day license suspension and 3-day vehicle seizure. 2nd offense – Immediate 15-day license suspension, 7-day vehicle seizure, “Planning Ahead” course. 3rd offense – Immediate 30-day license suspension, 7-day vehicle seizure, “Impact” course. These are just the minimums under the Criminal Code. They can be raised higher by the actual Judge hearing any given case. Then there are the Provincial suspensions that follow a criminal conviction. These arise by virtue of the Highway Traffic & Safety Act of Alberta and other provincial legislation. The Criminal Code allows for a shorter period of prohibition in Alberta because Alberta offers the Ignition Interlock Program. There are special rules that apply. Talk to a lawyer. To be eligible to the accused, the sentencing judge must not prohibit it, and it must be allowed for by the Transportation Safety Board. Talk to a lawyer. An ignition interlock is an alcohol sensing device installed on the applicant’s vehicle which requires random samples of breath from the driver to continue the vehicle’s operation. If an alcohol level above a certain minimal level is detected the vehicle will be shut down. These devices are expensive to install and maintain. Talk to a lawyer. Please know that some of these numbers are variable depending on the case itself, and the actual application of the law to your specific case. Crown or judicial discretion or the use (or non use) of certain notice requirements may also change the situation. Talk to a lawyer. There are more and other special rules regarding the impaired driving laws and the interlock system that are not listed here. Talk to a lawyer. Where bodily harm has been caused, the penalty can increase to as high as 10 years in prison and a 10 year driving prohibition. Where a human death has been caused, the penalty can be as high as life in prison and the length of driving prohibition can be for any period of time the court considers proper. Basically, there is no limit as to how long the prohibition can be. In rare cases, an accused can apply for a “curative discharge”. This is a special disposition that is available if there is recognition of an alcohol or drug addiction. Geoff Green can discuss this discharge with you. In the right circumstances it can be very favorable to the accused. Talk To A Lawyer – Talk To Geoff Green! DUI (Driving Under the Influence), DWI (Driving While Impaired), impaired driving, driving over .08, driving over .05, refusing to blow and other drinking and driving offenses are a complex mix of ever changing federal and provincial legislation. It difficult even for lawyers to keep track of all the rules. One thing is sure though – an accused person has various legal rights that belong to them under the Charter of Rights and Freedoms, various sections of the Criminal Code, in other legislation and at common law. Make sure you use these rights and rules to your advantage by hiring capable legal counsel. Your best defence is to get a lawyer. Geoff Green has over 20 years of experience in these matters. You don’t have to go through this alone. Call Geoff Green today. Drug impaired driving is a fast developing area of law, especially with the 2018 legalization of cannabis (marijuana) and the implications for impaired driving that accompany that legalization. The Federal Government gave Royal Assent to Bill C-46 on June 21, 2018. This means that the provisions of that bill C-46 are likely to govern impaired driving by drugs going forward. Some of the new laws are already in force. Others are scheduled to come into effect on December 18, 2018. In addition to these laws on driving with drugs in your system, Bill C-46 significantly alters aspects of Canadian drinking and driving laws. In particular, it lowers the threshold for which a police officer can demand that you blow into a roadside screening device. Under current Canadian laws, an officer must have a “reasonable suspicion” that a driver has alcohol in their body before they can demand that you blow into a roadside device. If the new legislation comes into force on Dec. 18, 2018 as is expected, then there will no longer be even this minimal threshold required. An officer can demand a sample even without having a suspicion. Presumably, for any reason, or no reason at all. There is no question that these laws will give rise to legal challenges across Canada on constitutional grounds under the Charter of Rights and Freedoms and it is possible that they will ultimately be found lacking. No doubt the Supreme Court of Canada will become involved. If you find yourself charged with impaired driving, refusing to blow or any of the drinking and driving or drugging and driving offences, you should call a lawyer as soon as you can. The Canadian criminal laws on impaired driving by alcohol and impaired driving by drugs are undergoing significant change with the passage of recent amendments to the Criminal Code via the Statutes of Canada 2018, Chapter 21. Also known as Bill C-46. The major section headings in this new legislation can be found below. There are essentially 3 new offences dealing with “driving under the influence of cannabis”. (Cannabis is also known as marijuana, pot, bud, weed, leaf and many other things). 1) Driving with a level of THC (THC is short for tetrahydrocannabinol) of between two and five nanograms. These “lesser” offences will be treated as summary conviction offences and the person will get a fine of up to $1,000. 2) Driving with a THC level above five nanograms will be taken more seriously. Offenders here face mandatory minimum penalties of a $1,000 fine on a first offence, 30 days’ imprisonment on a second offence and 120 days’ imprisonment on a third offence. 3) Because it is believed that mixing alcohol with cannabis further impairs a person’s ability to drive, driving with a THC level of more than 2.5 nanograms and having a blood alcohol concentration above 50 mg per 100 ml will also face the same mandatory minimum penalties as someone driving with more than 5.0 nanograms. These are three new offences. The government is working on approving screening devices that can conduct roadside testing of a driver’s saliva in order to determine their blood THC level. It is anticipated that the approved device will be of a “pass or fail” type with a threshold of 5.0 nanograms of THC. In the event of a fail the arresting officer would then make a formal demand for the driver to provide a blood sample, which blood sample would then determine the exact level of THC. The sample would have to be taken within 2 hours of the time of driving. It is known however that the longer you wait, the lower your THC level will probably be as the dissipation rate for cannabis is quite fast. Question: How long does cannabis stay in your blood? Answer: Not as long as many other drugs. On about August 27, 2018 the federal government of Canada announced that the Drager Drug Test 5000 roadside screening device had been approved for roadside screenings come October of 2018. But it remains to be seen how this will play out. Some police forces (for example, Vancouver and Delta B.C.) have decided they won’t be using that device, at least not right away. Here is section 320.14 – The “operative” section for driving while under influence of drugs. As you can see there are a lot of different sections. The legislation is quite detailed and will need to be interpreted by the courts over the coming many years. There will be many defenses put forward by lawyers under the Charter of Rights and Freedoms. If you get charged under the new drugging and driving laws, or the impaired by alcohol laws, or any criminal charges you should call a lawyer as soon as possible.